ARTESIA, Calif. (AP) — The Rev. 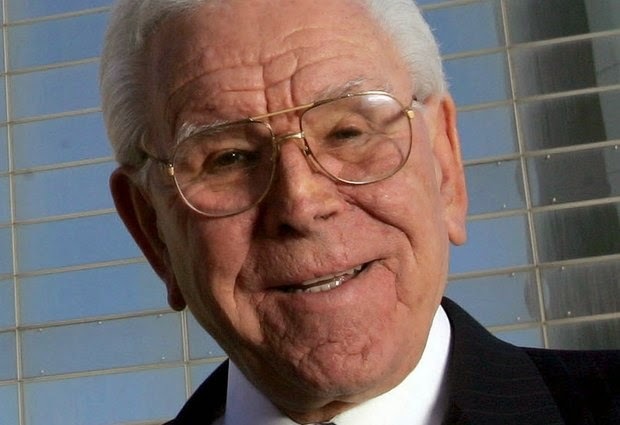 Robert H. Schuller, the Southern California televangelist and author who beamed his upbeat messages on faith and redemption to millions from his landmark Crystal Cathedral only to see his empire crumble in his waning years, has died. He was 88. Schuller died early Thursday at a care facility in Artesia, daughter Carol Schuller Milner said. He was diagnosed with terminal esophageal cancer in 2013. Once a well-known televangelist, Schuller faded from view in recent years after watching his church collapse amid a disastrous leadership transition and sharp declines in viewership and donations that ultimately forced the ministry to file for bankruptcy.